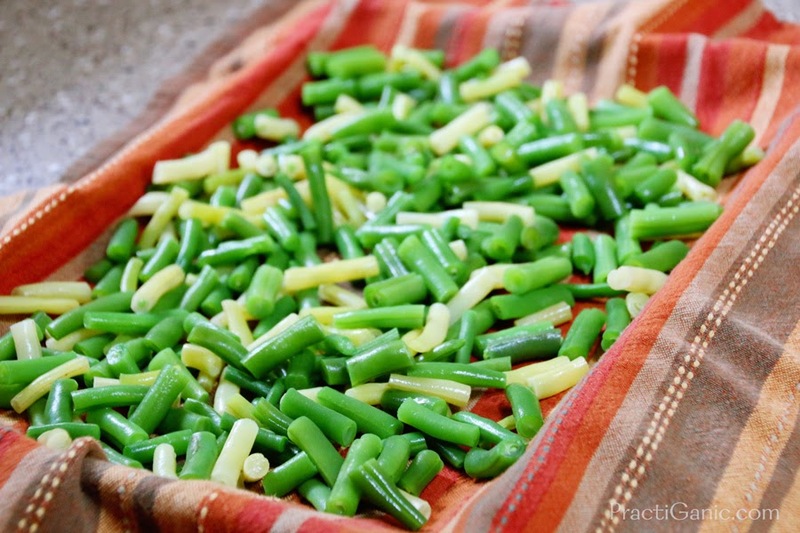 Fresh green beans remind me of my childhood. When I was little, we would go to my cousins farm, where my mom grew up, and pick vegetables in the garden. I remember 5 gallon buckets of beans on the kitchen table and me, my sister and my other girl cousins sitting around the table. Each of us having our own bowls and snipping off the ends of the bean and occasionally getting yelled at for throwing beans or eating more than our share! I'm sure from girl to girl, all of our memories vary just a bit but generally are all the same. 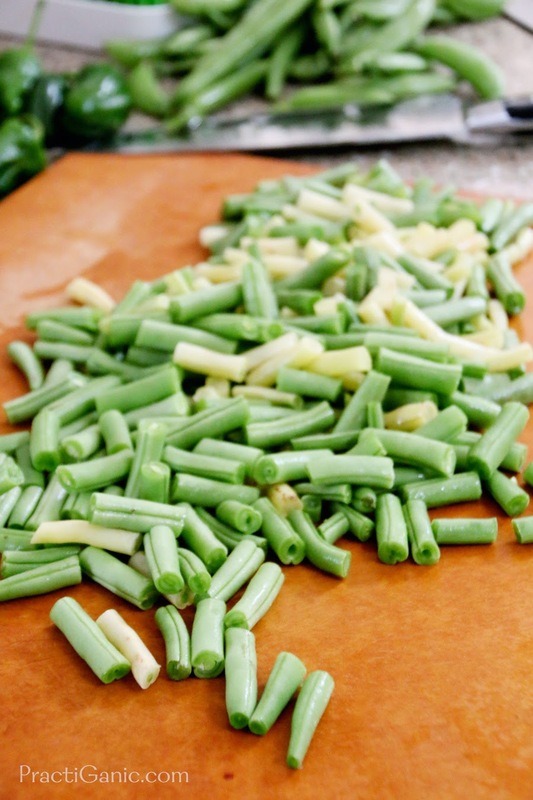 Now, every time I get to munch on a fresh green bean, memories of the farm fill my head and it feels like summer. I have to share the stories with anyone who is around me. Luckily, Paul humors me and lets me tell him the stories over and over ... and over again! Thanks honey! Now that I am older and with a family of my own I look forward to my kids getting a little older and helping me snip and prep beans for processing. Right now, they just enjoy the throwing and eating part which makes me smile from ear to ear. 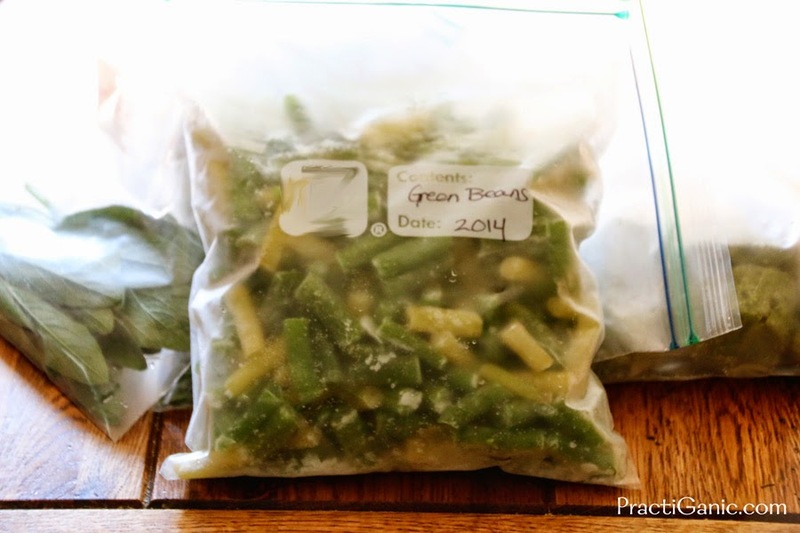 Whether you like to freeze or can your beans, they are so much better than the ones you can get at the store. Farm fresh is just the way to go. So, I continue the tradition and process beans. I don't have buckets upon buckets right now, so what I do have, I like to freeze ... super delicious and in December they taste like they are fresh out the garden and it's summer again! If you do want to can your beans or other vegetables, check out my post on Canning Dill Pickles to learn the process. 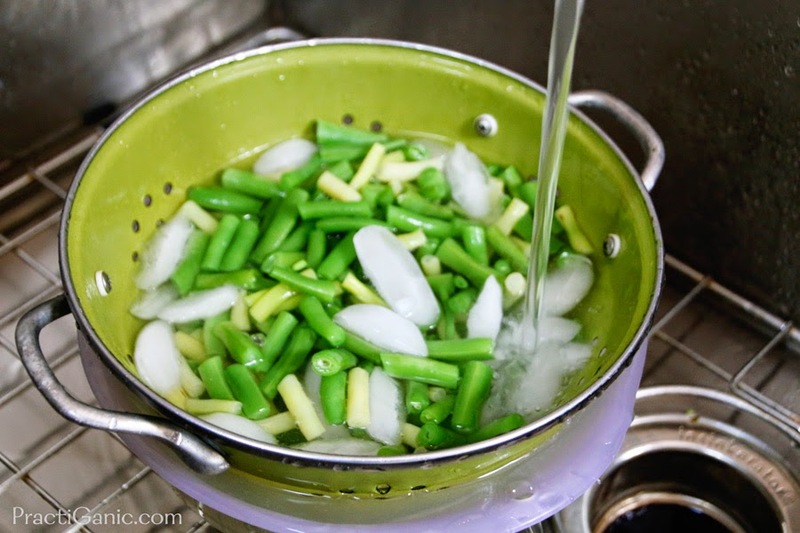 For canning vegetables, simply add 1 tsp of salt per quart or 1/2 tsp per pint of vegetables. Add boiling water to your veggie packed jar. Process quarts for 25 minutes and pints for 20 minutes. First, gather and wash your beans. Second, snip off the ends and cut them into the size that you prefer. Next, put them in a pot of boiling water. We are just blanching them, so I only leave them in for 3-4 minutes. They are cooked but still firm. Then, put them in an ice bath so they stop cooking immediately. Next, dry them on a towel lined sheet tray. This prevents them from sticking together into a big clump when you put them in the freezer. Finally, pack them up into your freezer bags and properly label them. 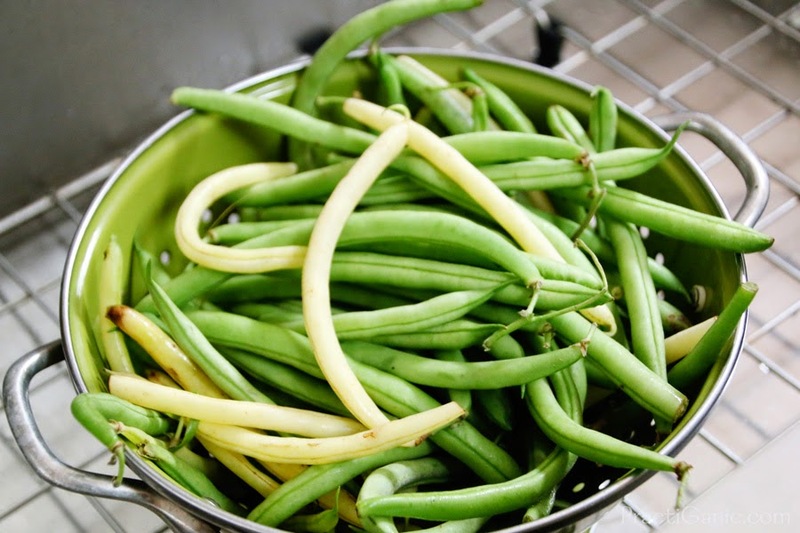 When you are ready to eat them, simply pull them out of the freezer and cook as desired or simply thaw and eat. 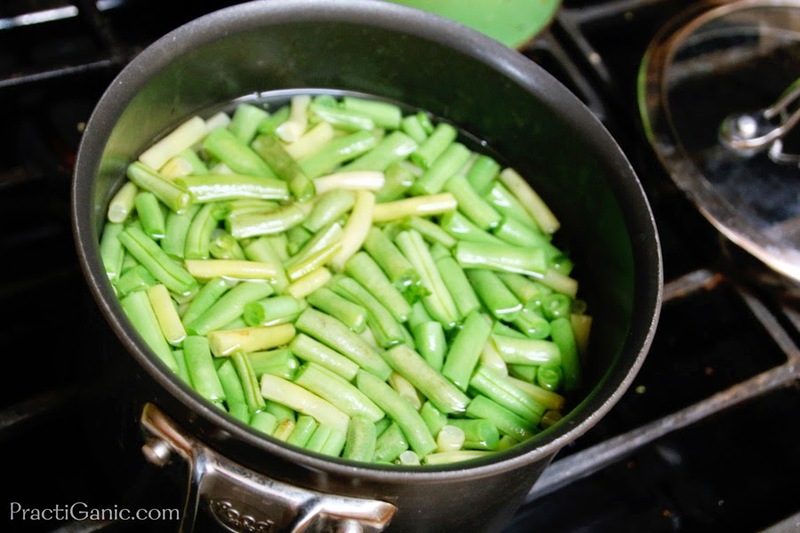 This method works for many garden vegetables so stock up in the summer to enjoy in the winter!